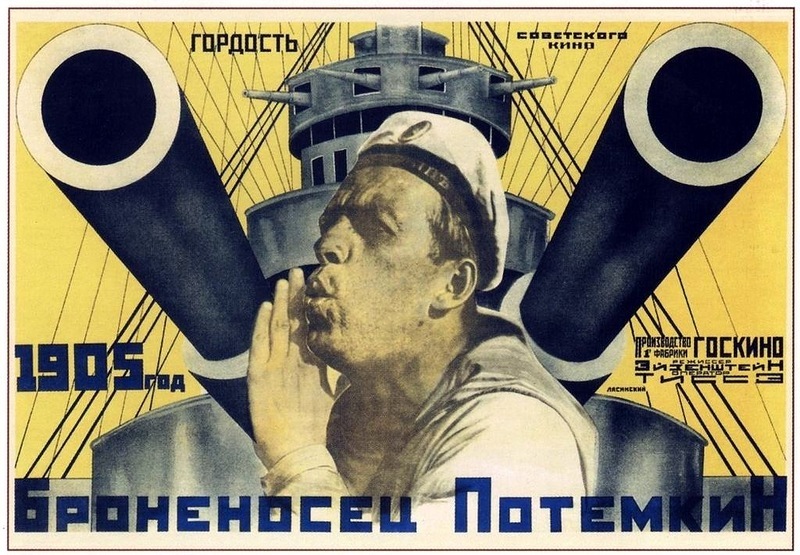 Posted on March 8, 2015 by Lea S.
A hearty welcome to all readers of the Russia in Classic Film Blogathon, hosted by Movies Silently! I’m happy to contribute with this particular topic, one that’s interested me for quite some time. Feel free to leave comments–I love comments like Mary Pickford loved posing in quaint photos with puppies (very much). If you like movie posters as much as I do, you’re probably familiar with some of the more iconic ones: Gone With the Wind, The Godfather, Jaws, Star Wars, etc. Many of these feature basic, accessible artwork: Rhett and Scarlett, sci-fi heroes in heroic poses, a shark’s jagged mouth. But if you go back back to the poster art of the silent era, a surprise awaits you. While looking at the carefully painted and posed images of Chaplin, Gish, and other familiars, you’ll suddenly stumble across an entire world of sharp, bold, imaginative images. Bright blocks of color and slashing diagonals grab your attention. Figures half-realistic and half-graphic wheel amid daring compositions. 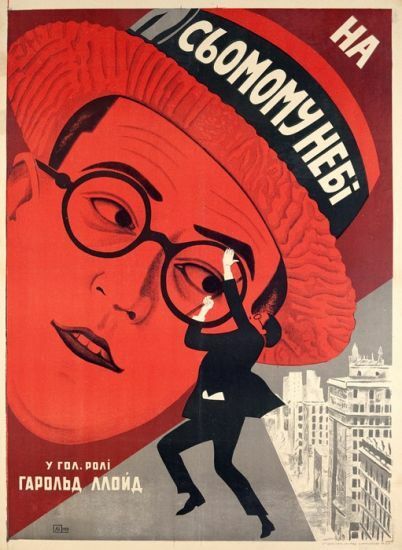 Man With a Movie Camera (1929). These are film posters from the 1920s Soviet Union, and they’re probably the finest and most unique film posters ever made. Dare I say that they were…revolutionary (pardon my bolshevik humor). 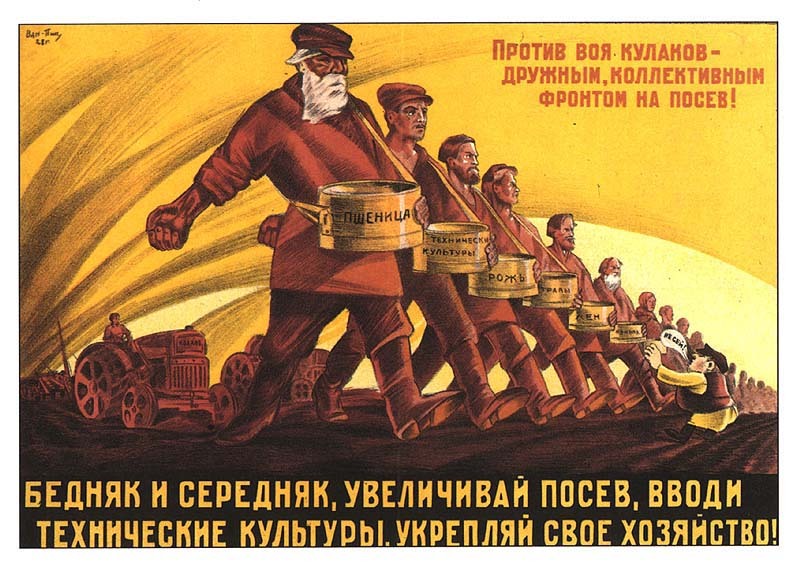 During the Russian Civil War of 1917-1921, poster art became a powerful tool for spreading communist government propaganda. Strong, modern, eye-catching graphics and slogans soon became the style. They were plastered throughout cities and sent to the frontlines in droves. Posters were so effective that there were even some made to “summarize” the latest news, in place of tabloids (as was done by the Russian Telegraph Agency in Moscow). 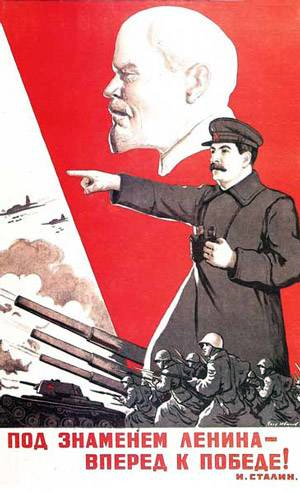 Once the miserable war ended, leaving behind disease, famine, a collapsed economy and widespread disillusionment (believe it or not), Vladimir Lenin decided to throw his citizens a bone by introducing just enough capitalism to help the economy get going again, while still leaving major things like transport firmly in the hands of the state. Thanks to this touch of freedom, Russia experienced its own version of the Roaring Twenties. The economy improved. Artistic experimentation became common, with Constructivism becoming the dominant art form. This new art movement started in the 1910s but became huge in Russia during the ’20s, influencing everything from theater sets to fashion. It oh-so-modernly experimented with angles, geometry, photomontage, and “industrial” looks, These soon filtered their way into poster designs, not just propaganda but also ads for everyday things like beer, food, accessories and more. Instead of being one of those art movements largely confined to small circles of manifesto-typing artists, Constructivism became a part of Soviet life. The General (one of my favorite Soviet posters–a large reproduction of this is in my living room). Film became massively popular in Russia in the 1920s. Soviet leaders approved of this since it only took about 2.5 seconds for them to realize what a great propaganda tool it could be. Starting in 1923, foreign movies (which were often bootlegged) became especially popular. Stars like Charlie Chaplin, Douglas Fairbanks and Mary Pickford were beloved by Russian filmgoers–the most popular of them all reportedly being Buster Keaton! Magazine covers featuring Doug and Mary. These foreign films made their way to Russia via distributor Sovkino–naturally controlled by the state. The advertising department of Sovkino, Reklam Film, was responsible for designing and distributing film posters throughout Russia. Eye-popping film posters. 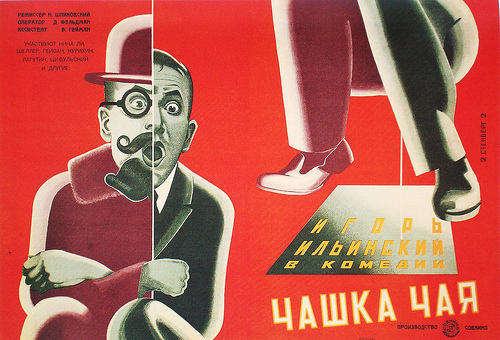 Headed by graphic designer Yakov Ruklevsky, Reklam Film used the latest avant-garde and Constructionist techniques to create exceptional art. Photomontage was key in playing with the combination of realism and the abstract. Talented artists were recruited to be a part of the Reklam team, including the Stenberg brothers, who created some of the finest images. A Cup of Tea starring Igor Ilyinskiy. 1925-30 was the heyday of these designs. Although thousands of film posters were distributed throughout the Soviet Union, relatively few of these have survived the wear and tear of the following decades, making them difficult (and darn expensive) to collect. Six Girls Seeking Shelter (1927). 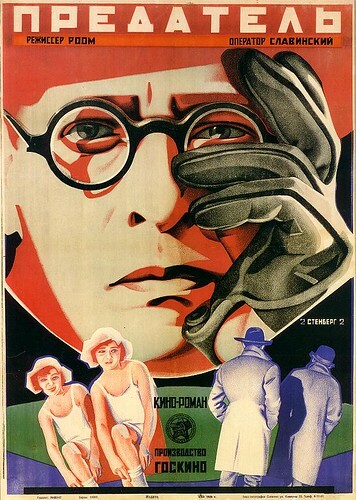 But by the early ’30s, the golden age of Soviet film poster was coming to an end. 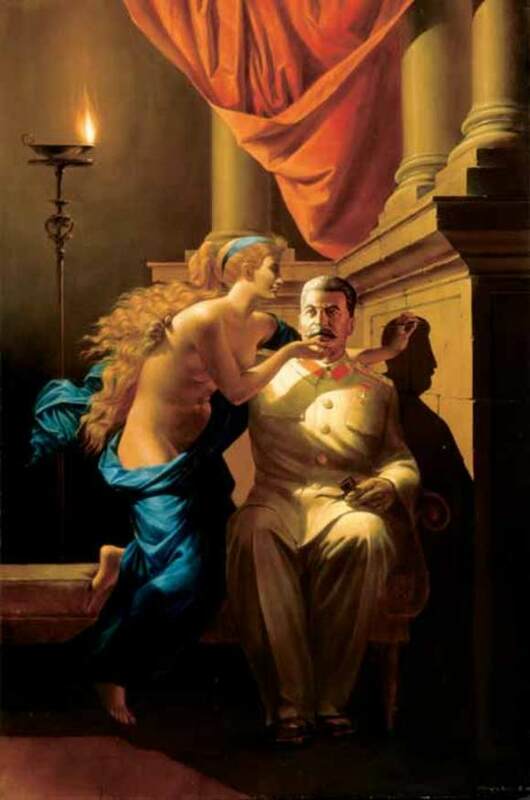 The Soviet Union leaders were always more comfortable with art when it could serve as propaganda. All this “free expression” business that people like the Constructivists lauded was getting exasperatingly far from the party line. Not to mention their misgivings about people’s enthusiasm for American cinema. 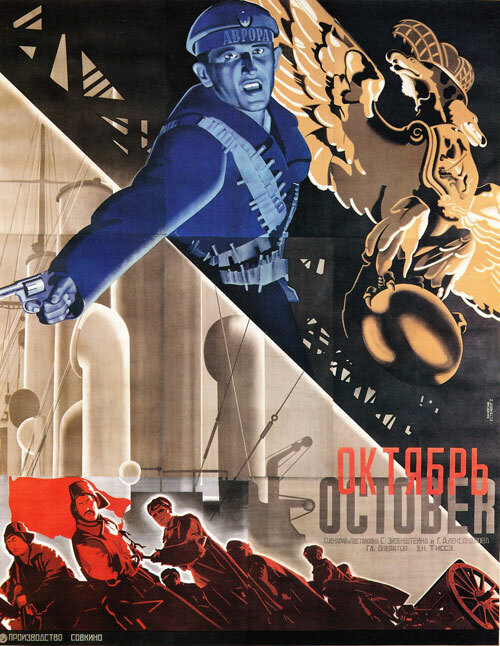 And thus the heyday of Soviet poster art was relatively brief. But, much like other silent era innovations like German Expressionism, it’s left behind a stunning legacy. Today, exhibitions, books and reproductions allow us to continue enjoying the surviving examples of this bizarre, energetic and fearless style (as well as to enhance an occasional dorm room wall). And it seems to inspire graphic design even today. Check out the fun trend of “Modern Vintage Movie Posters”–more than a little indebted to Constructivism if you ask me! But even though they may be imitated, the original Soviet posters will probably never be matched for sheer skill and imagination. And whatever the modern trend may be, in my opinion they will always be timelessly cool. Kenez, Peter. Cinema and Soviet Society: From the Revolution to the Death of Stalin. London and New York: I.B. Tauris, 2001. 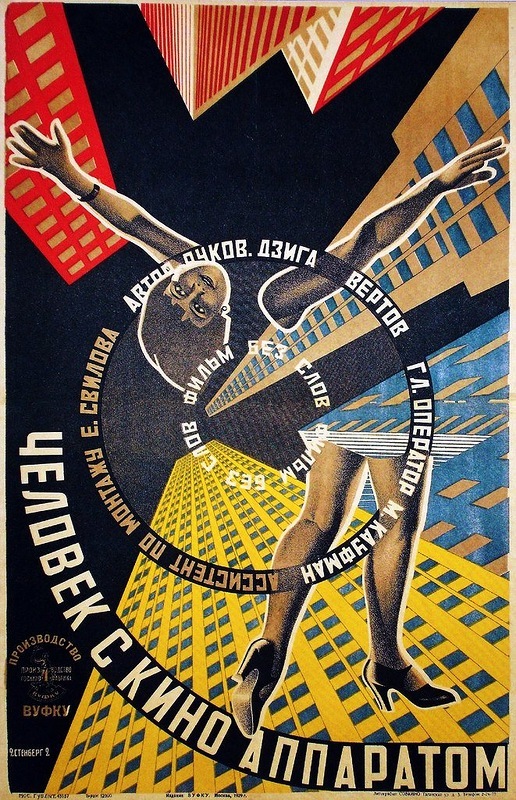 This entry was posted in Blogathons, History and tagged avant-garde, Constructivism, Constructivist, Reklam Film, Russian film posters, Soviet film posters, Stenberg, Stenberg brothers, Yakov Ruklevsky by Lea S.. Bookmark the permalink. This is great stuff here! Much more interesting to look at than today’s bland movie posters. In fact, I feel like older movie posters in general were gorgeous with their painterly looks. 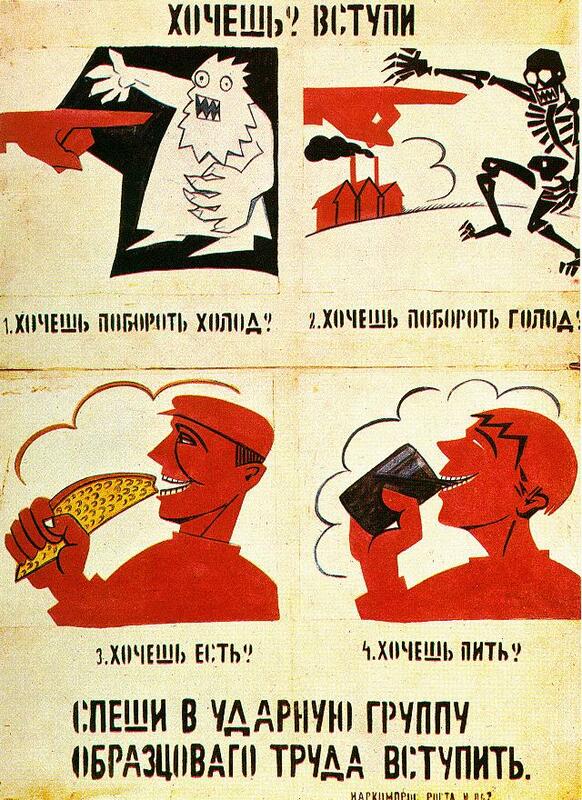 Now everything is all airburshed and certainly not as bold in composition as these Soviet posters. Lovely stuff. I find Soviet poster art fascinating, whether movie posters or not. There is (or at least was) a room full of it at the Tate Modern and I found it the most vivid stuff in the whole place. “A Cup of Tea”–thank you so much! Now I can fix that caption. 😉 Here in MN there’s a Museum of Russian Art, which I want to check out at some point to see if anything Soviet poster related is there. I agree that just about any Soviet designs are amazing–and must say that the Cyrillic script seems to enhance them more than any other letters could! Oh, and lovely to hear that Buster was their favourite! Discerning chaps, those Soviets. On the basis of no evidence whatsoever I’m going to say they do and they’re marvellous. Thanks for taking part! Agreed, these posters are an endlessly intriguing subject. And I can confirm that the poster in question is indeed “Six Girls Seeking Shelter” (My Russian is extremely limited but I can read the alphabet at a snail’s pace and count to ten so…) Thanks for giving this intriguing period the attention it deserves. I must say, it was difficult to choose which posters to include–so many of them are show-stoppers. Glad you stopped by! Hi Lea. What a great choice of subject. The 1920s posters are thrilling. The Stalinist stuff is scary. “beautifully painted crud” is a good description. I remember Chinese, Vietnamese and Soviet propaganda when I was young and all the painted stuff was skillfully done and completely lifeless. Thanks for sharing these wonderful images with all of us. “Lifeless” is also a good description of Communist art. I’ve been to the Museum of Communism in Prague, and saw more than my fair share of posters featuring “sturdy smiling peasant farmers looking in a vague upward direction.” Ugh. Thanks for stopping by Joe! Great post! 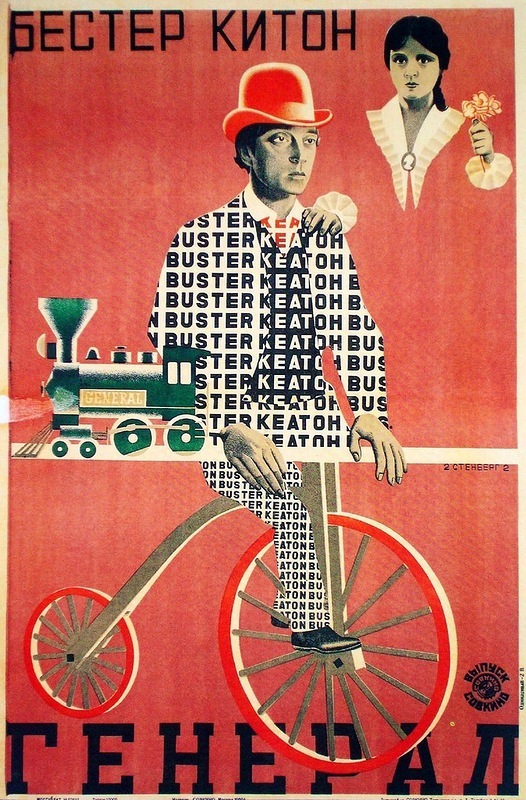 They’re such stunning posters, and I agree with you on that Keaton one, it’s one of my favourites too. The Stenbergs were just amazing. 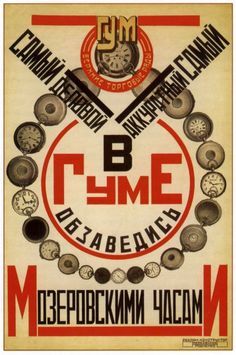 This takes me back, actually – when I was in high school I went through a craze on Russian Constructivism, I remember using Rodchenko as my artist model for a design assignment, lol. I wouldn’t have know about the film posters then, though! Lol at “this happened”. Oh, Uncle Joe. His crimes against art pale in comparison to his many, many other crimes, but damn are those socialist realism works boring. Aren’t they, though? Creepy, too. That one Rodchenko BOOKS ad has always stuck with me. It would be fun to put a print of it on one of my bookshelves! Hello – I am happy to have stumbled onto your wonderful article – thanks! I was actually looking for the image of the poster КНИГИ by Rodchenko. I was wondering whether that image is free for use? Can you help? Thank you in advance! Hi Galina! It would depend on how you’re intending to use it, if it’s for, say, an educational purpose like my Internet article here, I believe it falls under fair use. I’m afraid I’m not an expert on that sort of thing, though. Thanks for visiting, hope you enjoy it!